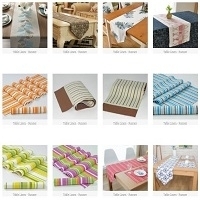 The Table Runner products are from differnt categories of Yarn, Weaving & printing technologies based on the customer requirements for both Organic and non Organic materials. Yarn Varities : Cotton, Linen, Polyster, Jute, Viscose and blended fibres. Weaving Category: Plain, Dobby, Leno and Jacquard yarn dyed items Printing Methods: Pigment, Reactive, Discharge, Kaddy and Digital prints. Runners Tpye:full-extension side-mounted, full-extension basket slide, full-extension self-closing side-mounted Size: 7'-- 48'/14'-24'/7'-48'/12'-28' Features: with separable release latch, simple insert type installation (and inner part of slide installation.) Material: work hardened cold rolled steel. Thickness:1.0mmf-1.0mmf-1.2mm, 1.2mmf-1.2mmf-1.5mm Load rating: 45kg/450mm (18' ) Finish: electro-zinc plated with clear or color chromate, black chromate available. Item Name : Bed Runner Style : 4071 Color : Blue, Beige, Pink, and Geeen Size : 40 x 395 Cm. Base Fabric : 2/6 LT. Woven Yarn : 2/6 LT.
Coir Rugs & Runners: Panama Style Coir Based Carpets are a striking fashion statement which is an alternative to regular carpeting that can be used not only as Wall-to-Wall carpets, but also as Runners & Rugs, which are exceedingly durable given its tight, snug weave, and can be tailor made to any size, with a selection of edgings. It can be used as a small bedside rug or even a Rug or Runner which would be the size of a bedroom, sitting room or dining room. Rugs could also be used as an outdoor walkway flooring solution, due to its anti slip nature. Coir is resistant to insects, as the natural oils found in its core fibers repel insects. Coir is also, very low maintenance as regular vacuuming is all that is recommended. Short on time? Let runners sellers contact you. 100% Pure Cotton table runner, 33X180cm, Custom sizes available. 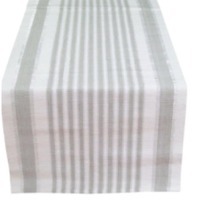 same design napkin and Table Mat available, Cotton material, Washing instructions-use cold water and mild detergent. Air dry only, do not dry clean. Iron, if needed. Pallrun is a 100 % recyclable cartonboard pallet foot for replacing wooden or other kinds of palletrunners/pallets, wherever possible. It is a combination of compact cartonboard (u-profiles) and stabilisation elements (cores). The surface of the u-profiles is reinforced by wet strengthened kraftliner giving high protection for humidity. Pallrun needs no treatments like wood. Standard sizes: Height: 100 or 60 mm Width: 90 mm Length: 150, 190, 600, 800, 1000 and 1200 mm. Ce certified pallet runners , used in radio shuttle racking systems , competetive product equipped in latest advanced technology. Made for making your warehouse work purely better. Laser cut polyester felt table cloths/ table cover/ table runners/ tischdecke/ tischläufer/ tischwäsche Material: felt (100% polyester, 100% wool) Model: FTC_3008 Size: 80*30cm Thickness: 0.2-1.0cm Technology: laser cut Pattern: custom Color: pantone system Packing: 2pcs/opp, with 4C printing sticker. Home Station International Co., Ltd.
Table runner series: 35X140cm 100%cotton 650GSM USD 2.40/PC MOQ 1500pcs/color/design Lead time 50 days. Individual packed with ribbon 12pcs/inner polybag 60pcs/carton Carton size:37*34*49cm G.W. : 18 kgs N.W. : 17 kgs. H & Z International Hardware Co., Ltd.
An Absolutely Fun Design that will gladden your heart. The fun part is the multi-coloured border that adds a sparkle to the creation. This Table Runner can be used on a Coffee Table, as well as, a Dining Table. Is 6 feet long. Sizes can be customised depending on the order volume. The finishing of the runner is flawless. There is a firm cotton lining on the back side of the runner to give it support, and also to make it durable. A gorgeous red brocade with big weaves offset by self striped saffron chanderi. The exquisite result was made even more classy by sealing the runner with a chocolate border. Bound to evoke interest amongst guests. Is 6 feet long. The finishing of the runner is flawless. There is a firm cotton lining on the back side of the runner to give it support, and also to make it durable. Think red wine. Now team it up with gorgeous green with lovely paisley weaves. You got yourself a winner as the double column runner has been sealed with a chocolate border. Is 6 feet long. The finishing of the runner is flawless. There is a firm cotton lining on the back side of the runner to give it support, and also to make it durable. An Elegant Design that is sure to start off a conversation. The unusual teaming of yellow with fuschia offset by a chocolate border, with immaculate finishing can really set the tone for your living spaces. A Table Runner that can be used on a Coffee Table, as well as, a Dining Table. Is 6 feet long. Sizes can be customised depending on the order volume. The finishing of the runner is flawless. There is a firm cotton lining on the back side of the runner to give it support, and also to make it durable. Shenzhen Hot Runner Technology Co., Ltd.
Awt hot runner system co., ltd, founded in 2010, is specialized in the hot runner system which includes development, design, production and sales management. We provide complete hot runner solutions and innovative hot runner system to our customers! awt team with our senior engineers and technicians is an elite organization. Many of them worked in world famous hot runner enterprises before. Each product from design to product delivery, all pass strict product testing in order to provide our customer not just satisfactory but excellent and efficient system. Since awt founded, our company was engaged in high quality hot runner technology and high-end customer, and widely developed specialized hot runner system markets in medical/package, integrate auto and engineering injection, awt founded excellent cooperation relations with many famous branded customers all over the world as well, awt products and its service after-sale received favourable feedback; We are a company with a high quality management system and quality control standard, we survive by our high technology and develop our business with proficiency. Rigorous is our pragmatic style team, our purpose is customer with satisfaction; we will keep on improving, and try to be your best hot runner system service partner. Presently, at the same time of developing more markets like america-europe, russia and asia, we also go in for getting more region hot runner cooperators or agencies as our partner, we prefer to your join anytime, welcome!